Back to school is right around the corner and that means getting all the necessary supplies. If you’re like my son, we get a list of everything he needs for the first day of school. Besides the backpack, there’s a long list of supplies from pencils to notebooks to P.E. shoes. 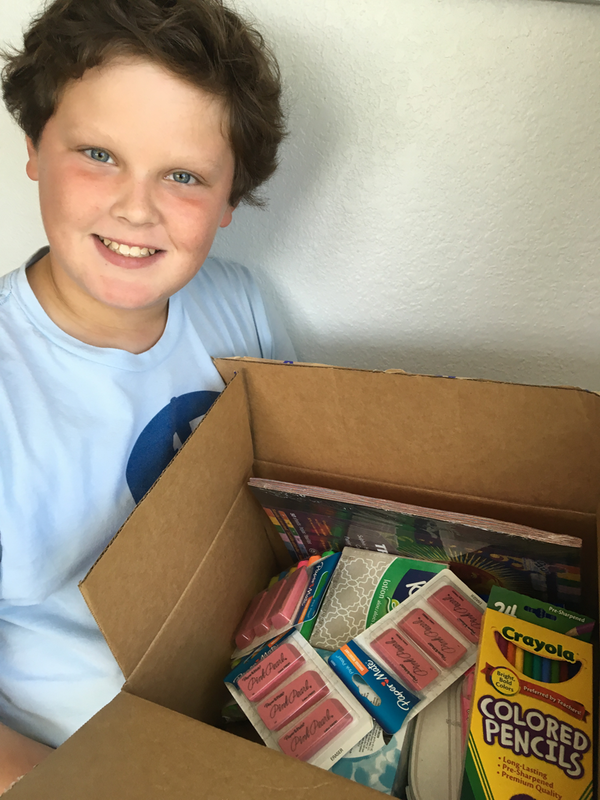 We were excited to work with Jet.com on this back to school shopping haul. They gave us $50 to shop the site for the best deals on back to school. What I love the most about Jet.com is the wide variety of products and the fast shipping. They are really a one stop shop. I also get 15% off my first 3 orders which is awesome for a whole lot of back to school savings. I always like to be able to get extra supplies for my son’s teacher and school. I love that the more quantities I buy of an item at Jet.com the more I save which is perfect for buying in bulk. I reached out to my son’s teacher to find out some of the items she might need the most and I was able to snag some great deals at Jet.com. Erasers. A teacher can never have too many erasers. We loaded up on them with 3 packages of 3 for only $2.81 each. The kids better not say they don’t have an eraser this year! Get your Paper Mate erasers at Jet.com. Highlighters. We grabbed a couple of packages of multi-color highlighters. It’s fun to brighten up your papers with a variety of colors! Plus, we snagged extras for the teacher. Two packages of six for $3.41 each. Get your Sharpie Accent Tank Style Highlighters. Kleenex. I’m pretty sure the classroom can never have enough tissue papers. I ordered a few boxes of Kleenex for my son to take. The Kleenex Lotion Facial Tissue were $1.74 each at Jet.com. Colored Pencils. My son has the MOST colored pencils, crayons and markers from years past. I am pretty certain I’ll send him to school with some he already has but I went ahead and grabbed a new box in case the teacher needs extras. The Crayola 24 ct. Long Colored Pencils cost $7.34 per box or less if you order more than one. Band-Aid Adhesive Bandages. I always like to keep first-aid supplies stocked and on hand. I thought it would be a great time to restock on band-aids for our home. 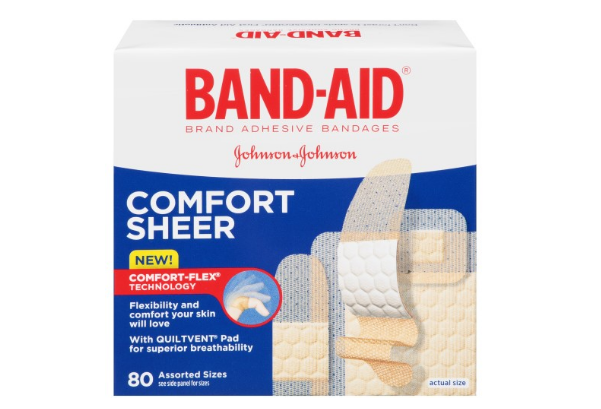 I snagged Band-Aid Adhesive Bandages Sheer Strips Adhesive Bandages, Assorted Sizes, 80 Ct for $2.32 per box at Jet.com. Red Grading Pens. I got a large box of BIC Ballpoint pens for for $6.33. My son had to bring one for supplies but I figured his teacher could use more so I got a box of them. Oxi Laundry Booster. If you have a boy like me then you’re probably spending a lot of time getting tough stains out of their clothes. My son tends to attract every particle of dirt around him. Since I was out I went ahead and grabbed a box of all Oxi Laundry Booster For Sensitive Skin to really get those tough stains out. Construction Paper. This was something my son’s teacher said she can never have enough so we got a large package of it for her. I selected the Tru-Ray(R) 50% Recycled Assorted Color Construction Paper, 9in. x 12in., Pack Of 50 for $8.58 per package. No. 2 Pencils. Pencils seem to be a big item on the school supply list so I grabbed 2 boxes of 24 Dixon #2 Pencils while shopping. Earbuds. My son’s teacher said she can always use extra earbuds. I grabbed some cheap earbuds while shopping for only $4.46 each. I know they may not last forever but they’ll be great for kids that don’t have any to bring from home. You can get pink earbuds or blue earbuds. 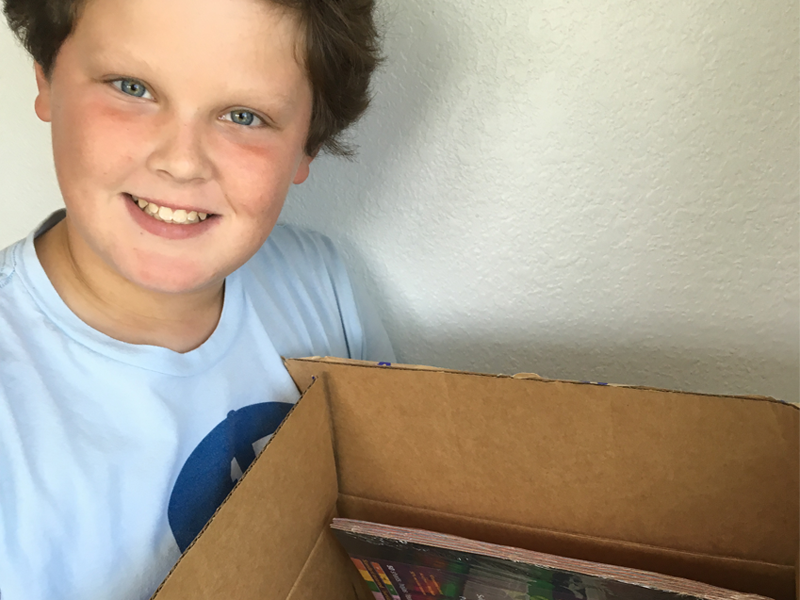 Ordering our school supplies from Jet.com has been a great experience. I love shopping online especially when it’s fast shipping (Free 2 Day Shipping) and gives me a discount for buying in bulk. Anything I can do to avoid the long lines at the store makes me happy. You can even use your debit card and opt out of returns for even more savings! Head over to Jet.com and let us know the best deal you found for back to school shopping. Comment below and share it with us! That’s a great bunch of supplies. Very good of you to get extra for the teacher. Jet has some great deals. Just don’t go to Walmart, what a mess…. Sounds a lot easier than doing all your shopping at the store. I love ordering things online. My kids have extremely long supply lists so I have to be diligent about finding the best prices! Looks like an awesome site! I don’t have kids in school. I’m guessing the prices are good. I remember that back to school shopping can be expensive. This looks like the best way to do your shopping. So much easier and less stressful than fighting all the large crowds.. I don’t shop online. I don’t pay bills or do any transactions on the computer. I know that when bills are paid the info is out there anyways. I’m just not comfortable with it. I have heard of this company. Sounds great. Sounds like a good place to shop. Every year the prices of supplies go up. I’m so glad that the kids have grown up. School shopping is expensive. One of my back to school items that I need for home and to send to my daughter at Ole miss is the Gain Liquid Laundry Detergent, Original Scent, 150 Oz, 96 Loads. I just did some shopping there thanks to this awesome review. I had never heard of Jet. That is definitely a great deal for the price! wow so many great school supplies at affordable prices.. can’t beat that! I love how they have a detergent for sensitive skin..I need to stock up on that!